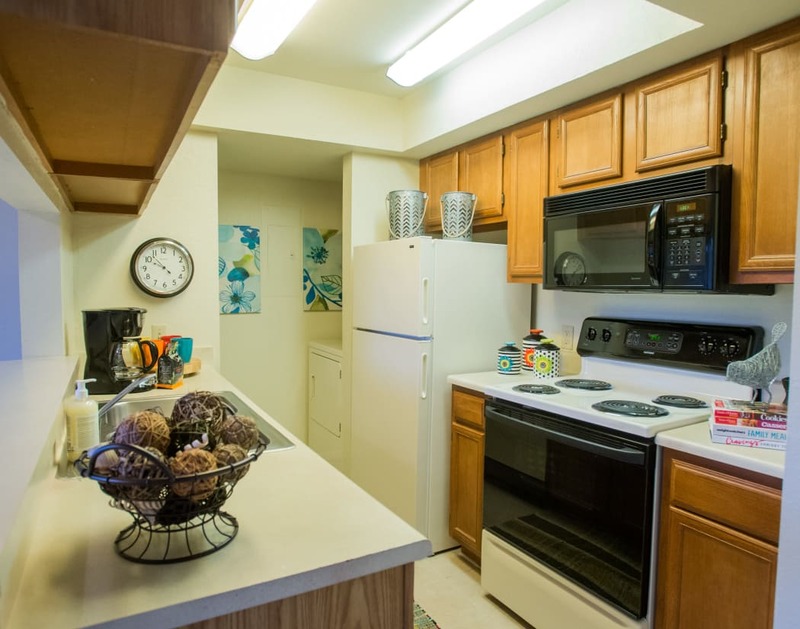 The Courtyards offers elegant one and two bedroom apartments for rent in Tulsa, OK. Our floor plans range from 550 square feet for a cozy one bedroom to 1,029 square feet for a spacious two bedroom, two bath apartment. Each home offers a fully equipped gourmet kitchen to try out your latest recipes. Some of our homes offer a patio or balcony where you can sip your morning coffee in the fresh air. Laundry day is simplified with a washer and dryer in every home, and walk-in closets will make it easy to hang and organize your freshly cleaned clothing. We’d love to give you an in-person tour of The Courtyards. Select the floor plan that suits your style, then get in touch today. We look forward to your call!